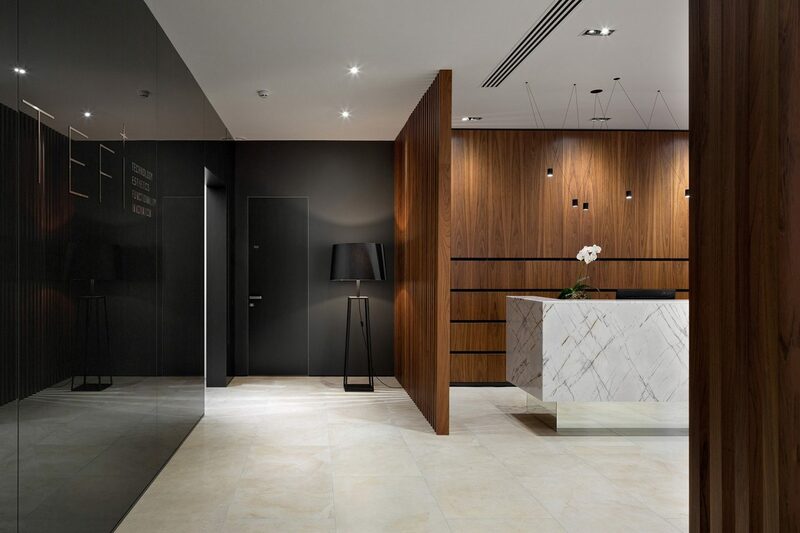 Our task was to create comfortable and functional modern public space for dental clinic. It should look more like a spa than a medical institution. 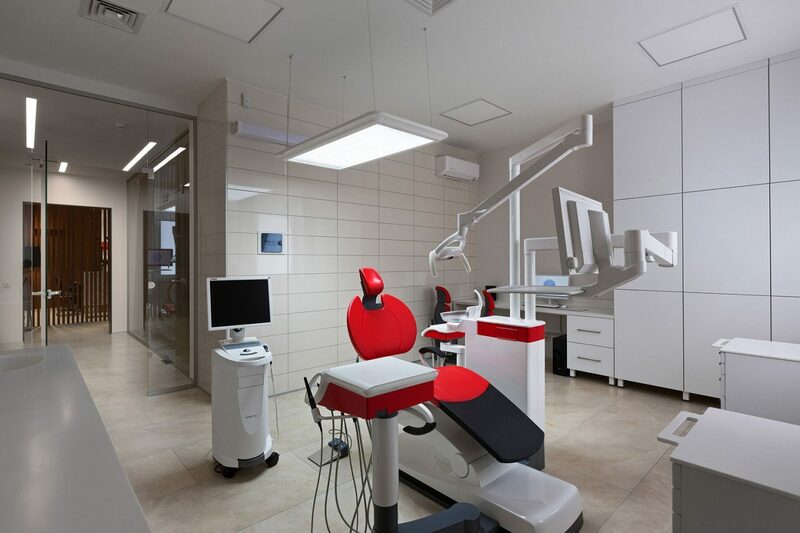 We interwove cozy decorations with cold and simple medical interiors with unique digital dental equipment. 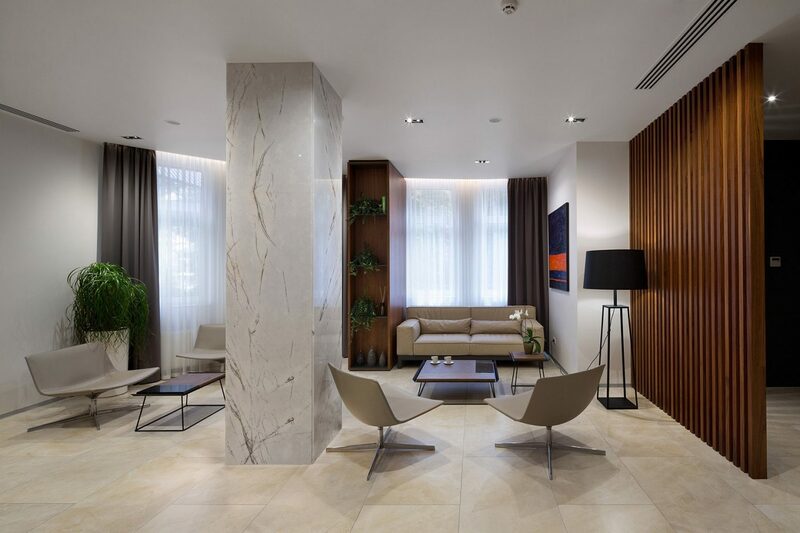 Every detail is made for the maximum comfort of clinic’s clients. 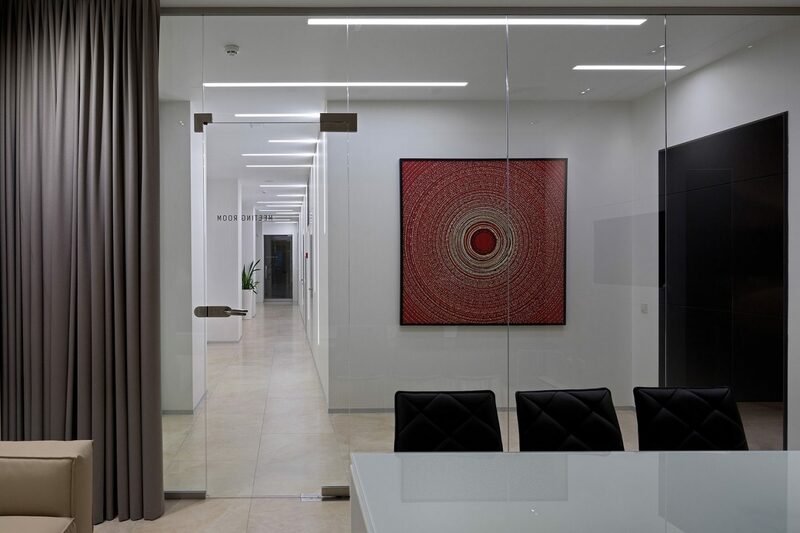 We apply materials that are unusual for medical institutions in ukraine. One cannot find white sterilized surfaces in public zones, but may find wood, marble and leather. 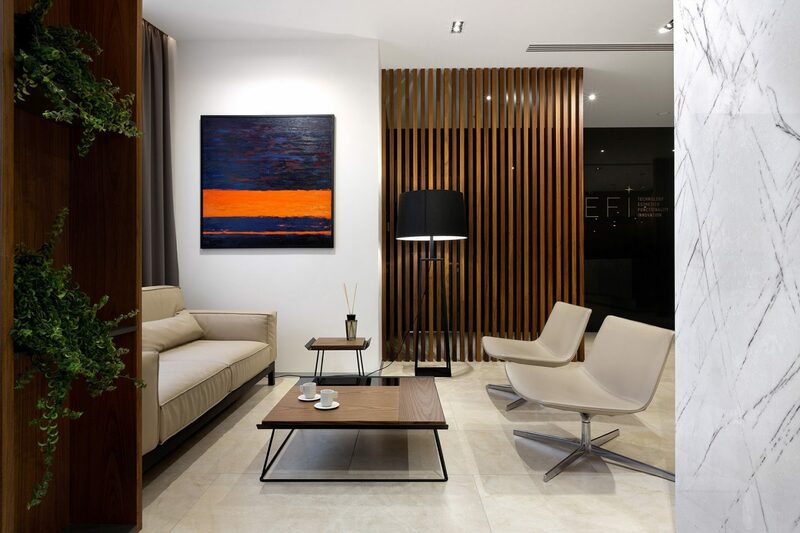 Black mirrors are used for visual increasing of the rooms and adding depth to th space. The climate system is hidden behind the ceiling to provide a uniform temperature allover the space. Soft and warm led lightning is very comfortable for eyes and homelike torcheres make the room looks cosh. 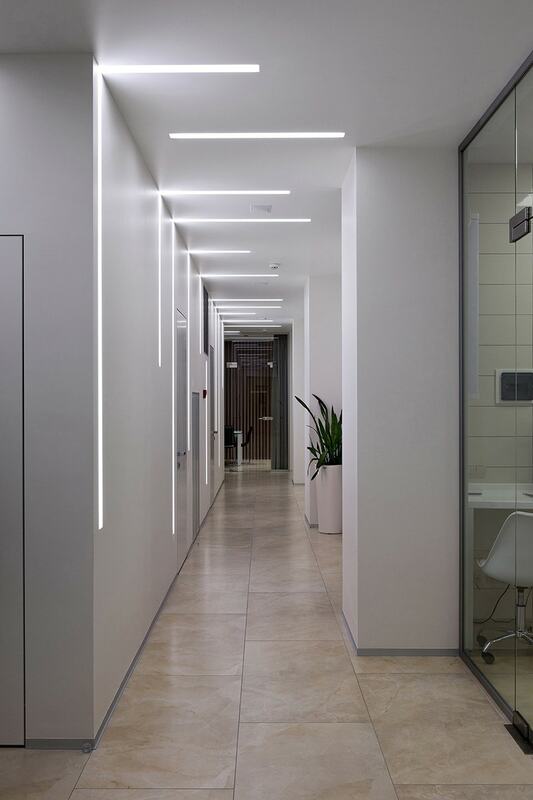 Built-in lights flush with the wall are made to avoid the symmetry in the corridor. 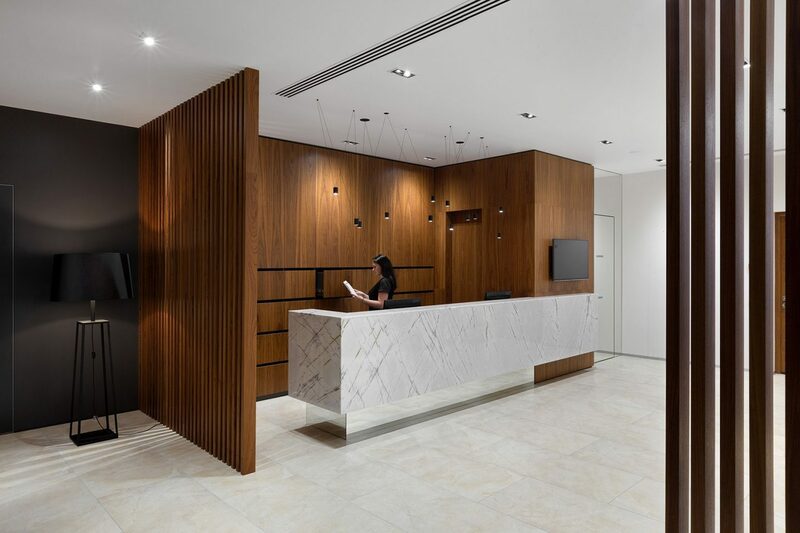 Service zones such as wardrobe and coffee station are hidden and integrated. Tefi cares not only about the health, but also about the taste — the clinic walls are decorated with paintings of ukrainian artists. 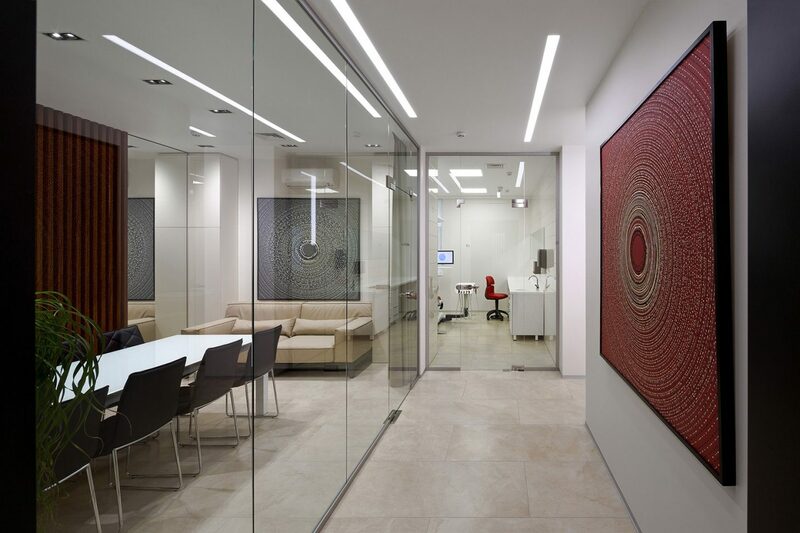 The exhibition changes from time to time to shift the mood in the clinic space.